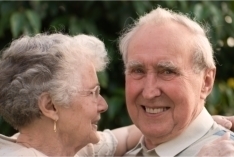 Home health aides provide the support most families who enjoy home care need. With the demanding and ever-changing needs one has to urgently address for his or her special someone, we have the aid you have been looking for. Home health aide services include assistance to patient’s personal hygiene and grooming, bedside care and attention, mobility assistance, guides to transportation, medical documentation, and meal preparation and patient feeding. Home health assistants can also support clients in household activities like cleaning, laundry, and similar activities. If there is a need, there is no need to worry. Home Care Experts, Inc. will be there for you.